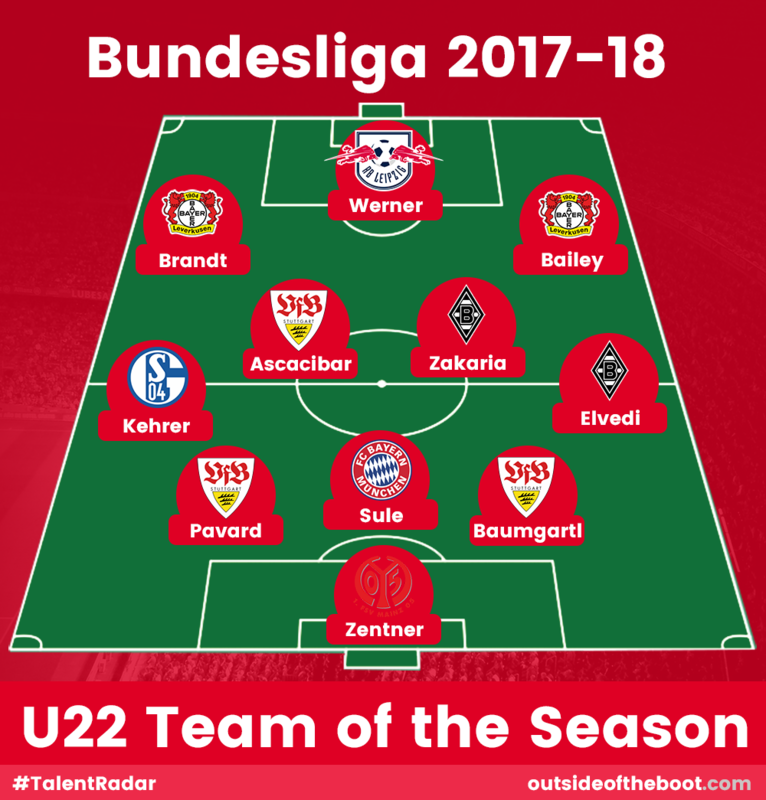 Stuttgart are the standout performers in this XI with three impressive representatives, some of whom blew Europe away with their big breakthrough season. Gladbach and Leverkusen both have two each. Bayern’s Sule and Leipzig’s Werner make the squad once more.